Need a credit card? It will soon become a lot more difficult to get one. College students who want a credit card but are under age 21 will need to have a cosigner, such as a parent or other adult who is at least 21 years old. College students can also get a credit card without a cosigner if they can demonstrate an independent source of funds sufficient to repay any debts incurred with the credit card. This paternalistic requirement was added by the Credit Card Accountability Responsibility and Disclosure Act of 2009 (Public Law 111-24), also known as the Credit CARD Act of 2009, which goes into effect on February 22, 2010. Most college students get their first credit card while they are in college. Credit card issuers are eager to sign up college students as cardholders despite weak, thin or nonexistent credit histories because it's a good way of building brand loyalty and college students get good jobs after they graduate. College students use credit cards to pay for educational expenses, such as books, supplies and equipment, and also to pay for living and entertainment expenses. But some students get seduced by the lure of easy credit, using the credit cards to live beyond their means. A 2009 survey by student loan giant Sallie Mae reported that 84% of college students have at least one credit card, and that college students have 4.6 credit cards on average. (Nearly two-fifths, 39%, already had a credit card by the time they arrived on campus.) This compares with the national average of 5.4 credit cards per consumer. The average balance among undergraduate credit card holders is $3,173 (median $1,645), with only 17% paying off the balance in full each month. Surprisingly, 30% of students paid for tuition using their credit cards. It's easy to get overextended, especially for first-time borrowers who have not yet learned fiscal restraint. Using a credit card feels the same whether you are spending $5 or $500. If you aren't careful, you may discover that you've spent more than you can afford to repay. According to the Sallie Mae survey, nearly seven-eights (84%) of undergraduate students feel that they need more education on managing their finances. The Credit CARD Act establishes several new requirements for extensions of credit to underage consumers: • Consumers who are under age 21 must either have a cosigner who is at least age 21 or have an independent means of repaying the debt. The cosigner must also approve, in writing, to any increase in the credit limit before the cardholder reaches age 21. These restrictions apply to credit cards and open-ended consumer credit plans, such as department store cards. 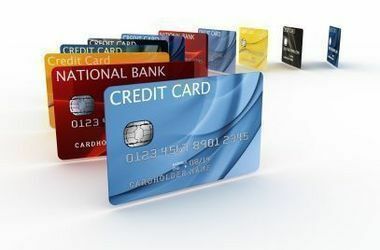 • The law bans unsolicited pre-screened credit card offers to consumers under age 21. This prevents credit reporting agencies from selling an underage student's credit report to prospective creditors unless the student has opted-in to permit such offers. • Credit card issuers are no longer able to give away premiums (e.g., beach towels, t-shirts, teddy bears, baseball caps, iPods or other tangible items) on or near college campuses or at events sponsored by or related to a college in order to get college students to apply for a credit card. They can still set up tables on campus (only where permitted by the college) and put up take-one posters, but they won't be able to use give-aways to convince college students to apply for credit cards they don't need. • Congress is also encouraging (but not requiring) colleges to offer credit card and debt education and counseling sessions as part of their new student orientation programs. Credit cards for college students are also subject to all of the other consumer protections in the Credit CARD Act, such as the bans on double-cycle billing, universal default and retroactive rate changes, and the requirement of a minimum 21-day grace period and 45-day notice of any rate changes. This will make it more difficult for college students to get credit cards. However, college students who are employed (even part-time) or who have savings sufficient to repay the debt should still be able to obtain credit cards without asking their parents for permission. The rules apply only to new credit cards, not existing credit cards, so college students who already have a credit card will not be affected unless they apply for a new credit card. Debit cards are also not affected.